“Remember all that buzz two years ago about affordable housing for artists in Sarasota?” a news release asks. “The program is entering a new phase that will include your participation,” it points out. As the first in a series of fundraising events, Artspace Sarasota will host a session with two speakers — moderated by Lorrie Muldowney, preservation consultant and former manager of the Sarasota County History Center — on Monday, March 21. A stimulating exchange with two speakers is expected, the release says. Chicago-based Martin Treu, a renowned architect and urban designer, will present The North Trail, Historic Gateway to Sarasota, the release continues. “His recent book, Signs, Streets, and Storefronts, showcases his multi-disciplinary approach to documenting and critiquing streetscapes,” the release adds. “He has lectured nationally about signs and architectural history and recently launched Eye on Main Street, an organization formed to showcase, interpret, and nurture historic and contemporary Main Street urbanism,” the release continues. Megan McLaughlin, who has “notable governmental planning experience in Florida,” the release adds, will present Preserving MiMo as a Revitalization Strategy: Success and Contradiction in Miami. 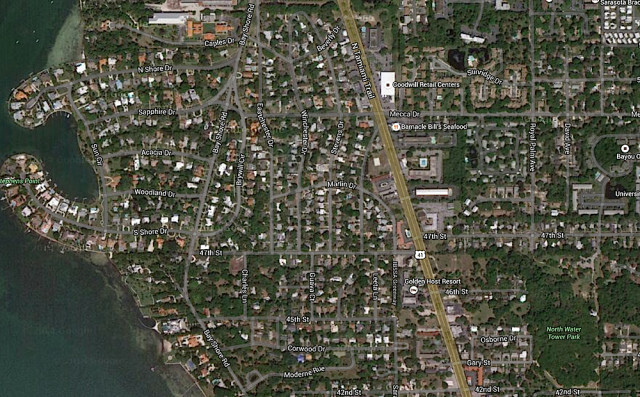 The MiMo district is an area with strong parallels to Sarasota’s North Tamiami Trail, the release explains. 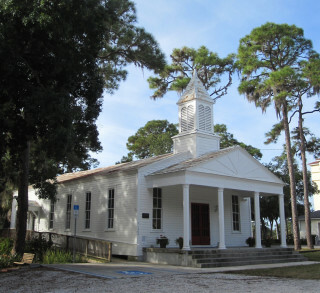 The event will be held at the historic Crocker Church, located at 1260 12th St. in Sarasota. The doors will open at 6 p.m., and the program will begin at 7 p.m. the release notes. A reception will follow at the adjacent Bidwell-Wood House. A minimum donation of $10 is requested. An agreement among community residents in late 2013 that development of housing for the local arts community would benefit the creative sector — and also might spark revitalization of the depressed North Trail corridor — led the North Trail Redevelopment Partnership (NTRP) to join forces with the Arts and Cultural Alliance of Sarasota County, the release points out. Together, they raised $15,000 to bring the country’s leading nonprofit developer of affordable live/work housing for artists — the Minneapolis-based Artspace Projects Inc. — to Sarasota for a feasibility study, the release explains. Artspace consultants held focus groups with leaders from every sector of the community: banking; governmental, cultural, residential, institutional, academic and charitable organizations; and businesses, the release adds. The resulting Executive Summary described Sarasota as a strong candidate for an Artspace project and urged the community to fund the final pre-development phase for the initiative, an Arts Market Survey, which is the focus of the present funding campaign, the release says. The Sarasota Artspace steering committee opted for a dual survey including individual artists; arts and creative organizations; and businesses in Sarasota, which cost $42,500, the release notes. A developing Indiegogo crowd-sourcing site and a Facebook page are helping to expedite the project, the release adds; to date $10,000 has been raised, mainly from Tamiami Trail property owners and residents of the nearby neighborhoods. The City of Sarasota and the Community Foundation of Sarasota County funded the feasibility study, or Phase I, the release continues. The third major contributor — the Sarasota Alliance for Historic Preservation — proposed that the corridor be examined for potential designation as a historic district, the release points out. In addition, Jim Shirley, director of the Arts and Cultural Alliance of Sarasota County has completed a contract with Sarasota historian Jeff LaHurd to document the history of the North Trail, the release says. The illustrated study will be published and made publicly available. Later this year, LaHurd will share his discoveries in an illustrated public talk, the release notes. Further, Morris Hylton, director of the historic preservation program at the University of Florida, “will consider using the corridor as a student project from the standpoint of documenting post war resources and preservation planning strategies,” the release says. The Artspace Sarasota committee includes representatives of North Trail businesses, members of the Indian Beach Sapphire Shores neighborhood and area artists. According to committee member Jane Nutter Johnson, the group is calling attention to the corridor to illuminate its uniqueness, the release continues.